Administrators to customize drop down and selection lists throughout BLOOM. You can add/edit/delete items from the lists. You may not delete any list items that are in use. You will prompted to Archive. Click on any list item to edit. You will see a list of the associated codes. You may add, edit, or delete. 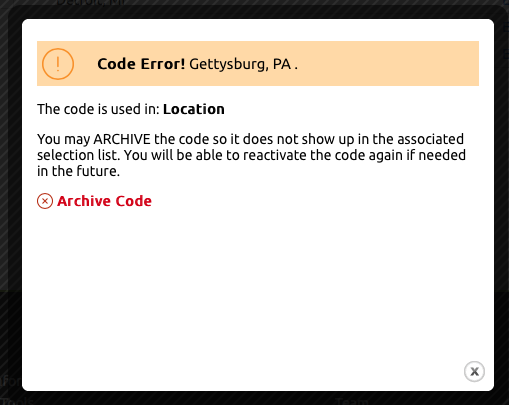 If a code is in use in the system, you will be prompted to archive. The code will move to an Inactive state. You may Activate it at anytime.